Ladies and gentlemen, boys and girls, raiders of all professions: I’m delighted to finally be able to spill the beans about all things raiding after playtesting another raid boss last week in preparation for the raid launch today! 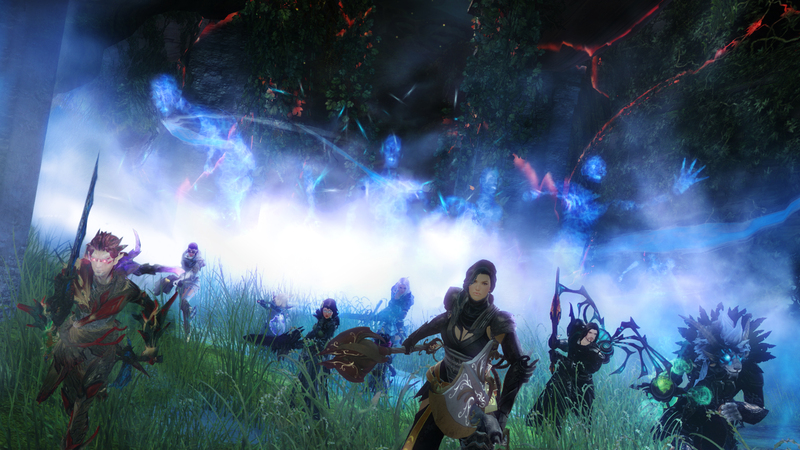 If you know me at all, you’ll be aware of how difficult it must have been for me to hold my tongue about my experience, especially since I adore raiding in general and am hoping that the Guild Wars 2 offerings will be no different. I had already tested my toons against the first raid boss during the beta weekend, so I was happy to see a different boss encounter this time around. Read on to find out more about my experience with the second raid boss, see a little bit of teaser footage, and stay tuned for my follow-up interview with Associate Game Director Steven Waller later this afternoon. If you’re worried about spoilers regarding the bosses included in the raid’s first wing, please leave this one out until you’ve seen it all for yourself. First things first: I wanted to let you all know that I playtested the upcoming raid on the staging client with a pre-made character with all traits, specialisations, and masteries unlocked. I was granted my choice of items from some that were in my backpack and pre-equipped on the character, and I also had plenty of chests in my inventory in case I wanted something that wasn’t already there. We used TeamSpeak to coordinate throughout the fight for the best possible results in such a small amount of time. I set up my usual Necromancer build on the test account, and I played the raid with the dev team for half an hour. In that time, we managed about eight attempts on the boss, the best of which got him down to about 50% of his health. As such, I didn’t see any loot, but I wouldn’t spoil the details even if I did! I did learn a little bit more about the context and story behind the raid, but I promised to keep my lips tightly sealed on that front when I asked a question about that particular tidbit. The only (very small) thing I will say is placed under the spoiler tag here, so click at your own risk! Click to reveal spoiler! Fans of the original game will appreciate a careful nod back to Guild Wars that I wasn’t expecting to see within the raiding storyline. I was dropped in on the second raid boss for my playtest, and the first task for potential arm-beast slayers is to glide across to the soul-eating monstrosity’s isolated platform to engage him in combat. Pretty advanced gliding — and excellent player control of the nuances of leaning and catching updrafts — is an absolute must for Gorseval as the whole fight revolves around the players getting off the platform at just the right moment from a specific area, as I’ll explain fully later. 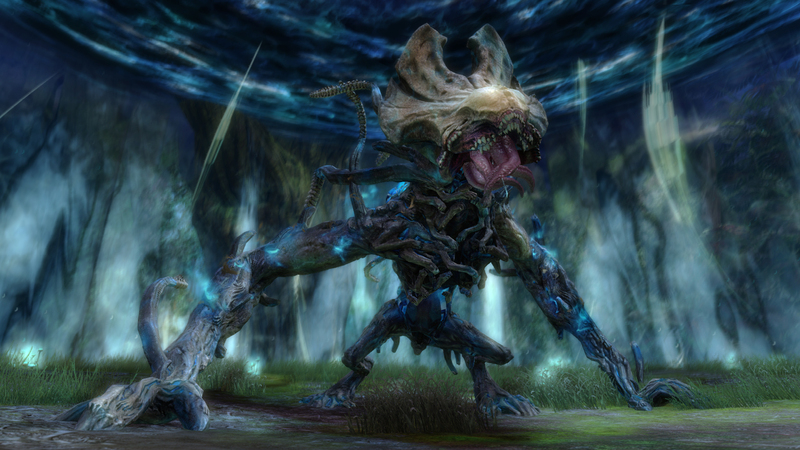 Gorseval looks downright formidable, with nasty looking limb-tendril-thingies and a wholly inhuman countenance. Looking up during the fight, I noticed the sky was marred by tormented souls whipping around in a dangerous looking sky, adding a sense of doom to the fight that enhanced the urgency that the mechanics already added to the encounter. As with the first raid boss we saw in the beta, the tactics are quite simplistic to begin with, but as the fight continues and phases progress, the combat field gets much more difficult to manage and the fight requires a significant amount of coordinated team effort. Check out the teaser video below that was compiled from some cinematic footage made available to me by ArenaNet after my playtest for a rough idea of the encounter’s logistics before I launch into a breakdown. The first phase, which lasts until Gorseval reaches about 65ish percent of his total health, features a strong DPS period followed closely by the now-usual breakbar mechanics. We glided straight in and stacked around the monster’s base, keeping his attacks firmly in our field of vision. Taking down his breakbar quickly is vital, especially since there are adds to deal with, a wall to break down, and the boss platform quickly becomes a danger zone that can cause a total party wipe. The platform is entirely surrounded by an impenetrable wall when the battle commences, and Gorseval attempts to hem the characters in and defeat them using a deadly effect that erodes the very world around us throughout the fight. To avoid this fate, players must quickly contain and down the Enraged Spirits, taking them out entirely for optimum chances of success since they make successive damage harder upon returning to the platform if they’re allowed to live. At the same time, one player kites Gorseval to a particular section of the wall as others smash it through to create an escape route. Players then leap off the platform and catch an updraft to get back when it’s safe to do so. Each updraft goes on cooldown, so you need to kite Gorseval to different wall sections each time in order to find a fresh updraft to use. Players must judge how much time they have left to DPS Gorseval himself before the deadly bloom attack engulfs the entire platform: Misjudging this means that you miss the window during which you can safely leap off the platform prior to the catastrophic, all-enveloping attack. Managing the adds, boss, wall,and jumps was a fantastic challenge that most definitely necessitated sharp VOIP communication and careful attention on the combat space. I am very embarrassed to report that I missed the jump back into combat twice because I failed to control my gliding well enough: I didn’t use leaning to stay in the updraft long enough to gain the required height in order to get back safely. We repeated this pattern until the we hit Gorseval hard enough to trigger the second phase, during which a new type of add was summoned and our main target became invulnerable. We had to take out each add in turn while applying as many distracting condis as we possibly could because if even one of those adds touched Gorseval, the party was doomed. The adds allowed him to capture our souls and end the combat, and I have to admit that we had trouble getting past this part of the encounter during my playtest. Once we managed to get those pesky adds down, Gorseval threw down some very annoying orbs that had a steadily increasing damage range. These orbs could be destroyed, but that would inevitably affect how much DPS was placed on Gorseval, the spirits, and the wall: Those features continued, and the orbs were yet another ball to juggle. From what I could gather, the rough priority list was spirits, wall, Gorseval, and lastly orbs for most of the time unless an orb’s range or position made it dangerous, in which case it became the top priority. We found this very challenging and weren’t able to push hard enough to get him down despite our best efforts. Overall, I have to say that I enjoyed this boss and am looking forward to smashing my toon against him repeatedly as I attempt to master the mechanics. I liked the variety of mechanics that were incorporated and I thought that it was clever to neccesitate gliding proficiencies to even begin the fight so that those without the masteries the encounter requires have a good indicator that they cannot possibly down Gorseval. It’s very easy to get right back to the fight, and I found the clean and simplistic Squad UI to be most helpful in quickly asserting the readiness of the party. My only new gripe with the encounter was that my gliding ability was tested so many times in such a short amount of time: It was frustrating when I messed up and repetitive when I didn’t, so I reckon this could be tweaked a little to make the fight more fluid and engaging. Apart from that, I still found that the flashy nature of the game’s combat was distracting, especially when I was trying to watch orbs, spirits, and the boss simultaneously. The devs at ArenaNet say that the game’s action combat style and build customisation means that you watch the fight instead of the UI, but I don’t think they considered the obnoxiously coloured mess of telegraphs when they said that! Stay tuned for my interview with ArenaNet’s Steven Waller later this afternoon, and thanks very much to ANet for facilitating this preview. Karl_Hungus Superbrak Ironwu The manifesto might have sounded nice but it’s a bit different when actually implementing stuff like that. And I’m supposed to take that seriously? Have you even played the game at all? Logic would are already lead me to believe that this is sensationalist garbage. Anyone whose bothered to read, learn, play, and watch raid runs since the first beta, knows damn well it isn’t easy. Brisk runs through dungeons for gold do not compute here. You should be focusing on actually beating the raid first before you discuss ‘competition’ amongst friends. Esoteric Coyote Ironwu I’ve come to really like Tangled Depths since it has a lot of depth to the zone and hidden things to find and do. The other zones are pretty much meta-based, and TD is meta-based as well, the meta isn’t that well done. 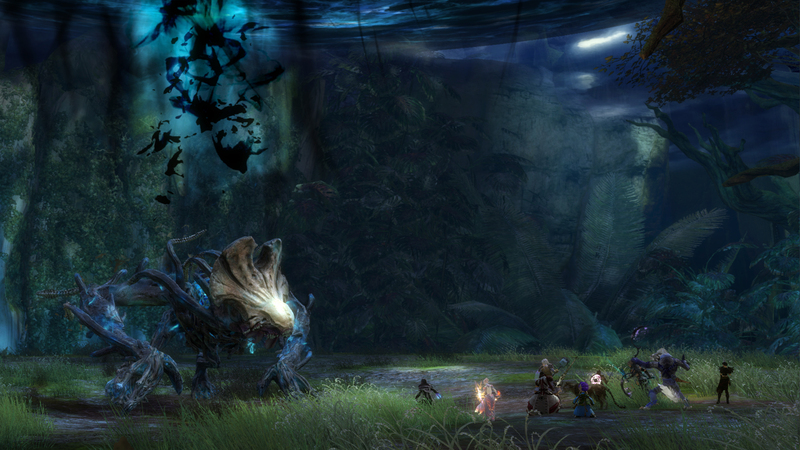 The nightmare of navigating the zone ends up leaving a lot of room for exploration and general adventure. MassivelyMacD SallyBowls1 Raids have consistently shown to be a small percentage of the userbase in the various MMOs they appear. They top out at maybe 12% and tend to hover between 5 and 8%. There’s been various run downs on this and games that mainly focused on raids (Wildstar) have struggled. Karl_Hungus Superbrak Ironwu Some things that sound good on paper don’t work well in practice. The manifesto included. ArbsX Ironwu Not really. They said there wouldnt be vertical progression & gear grind – there isnt. They said the world would use scaling and zones wouldnt become obsolete – thats still true. They said grouping would happen naturally and there would not be standart quests – thats still true as well. Superbrak Karl_Hungus Superbrak, I understand where you’re coming from. But I guess we all can agree that the “Manifesto” was actually very promising. What went wrong is basically the fact that ANET failed to actually deliver any of it in a good way. In other words, another company could use that same manifesto and actually “deliver” something better one day, I believe. It’s all in the execution really. SallyBowls1 Can you define “a lot of” please? To me it was more like “the loudest few”. Esoteric Coyote Polyanna Superbrak I don’t think its necessary, the way druids and ventari revenants heal is based on ground targeted aoe, basically just heal target the melee dps group and your good. Keeping 25 stacks of might is going to be incredible easy with a herald or phalanx strength warrior in each subgroup and thats not including blasting fire fields which will be all over the place. If it stacked to 10 the group would only need a rev to have pretty much every boon except for quickness stacked to max on the whole raid.